After 5 months waiting the new Hollis Explorer Rebreather finally arrived at the dive center. 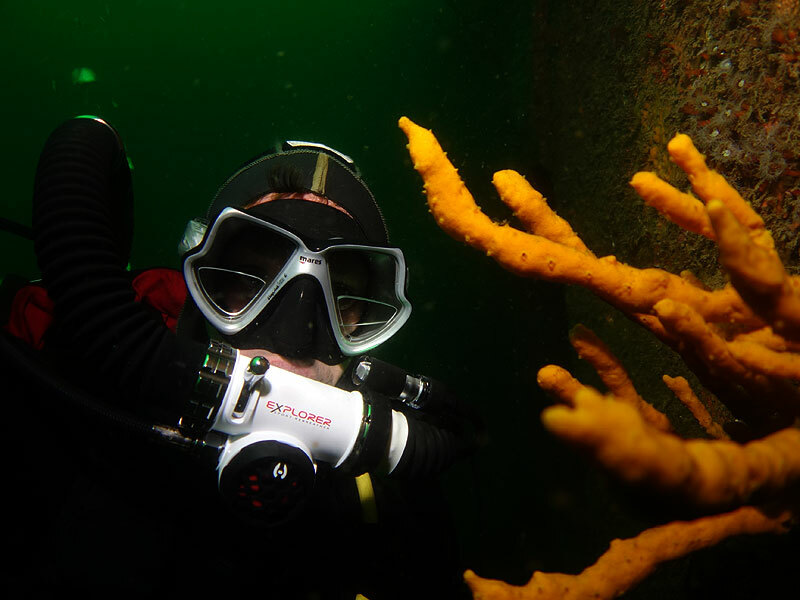 The engineers from Oceanic in the USA have been working frantically to clear huge back orders since the latest rebreather on the market was released earlier this year. This is a true recreational rebreather designed to be compact, light, simple and safe to use. This unit has taken a huge step towards opening rebreathers to the general diving population. Come down to the Dive Center and check out the only Hollis Explorer Rebreather presently in NZ. The unit is neither a fully closed circuit Rebreather nor a pure semi-closed system, but an intelligent hybrid that utilizes the best of both worlds. Its compact, lightweight and extremely easy to use. 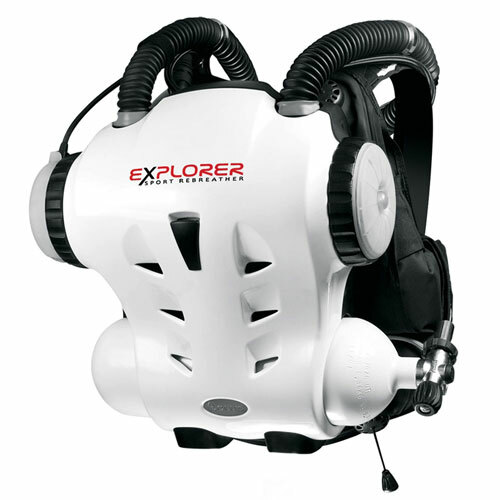 The Explorer is unique in using a single gas; Nitrox, and is electronically controlled to achieve an optimal balance of PPO2 and dive time. Plug and Play absorbent cartridges, easy guided setup with go or no go, CO2 tracking, and 2 hour design duration make this a dream for any recreational diver. The Explorer diver will benefit from breathing warm gas, have lots of bottom time, and since it does not produce any invasive bubbles, see more sea life than ever before. Grant diving the Canterbury Wreck on the Hollis Explorer Rebreather.